With technology evolving every day, and children wanting to be in the know, I think it's safe to say a lot of parents worry about what their children can access when using devices such as phones, tablets and computers. The internet is a very big world, and in that world, there are a number of websites and apps you do not want your children to come across, so you enable maximum security and hope your fears don't come true. However, with the right apps downloaded, we needn't worry as much as we do, and I've discovered that over the last fortnight by letting Spud play an app on my phone call KidzInMind, it's educational, fun and entertaining, whilst allowing me to relax, without keeping a close eye on him! With the built in parental control timer, I can decide how long Spud is allowed on the app for! Another bonus for me, is the fact that if I wish too, I can turn off the internet, and turn off access to other apps, so I know Spud is only on the KidzInMind app only! Available on the IOS and Android store for free (however, please do note the app offers in store purchases and subscriptions), created by parents, for parents, the app offers peace of mind to parents with no hidden payments and no adverts. 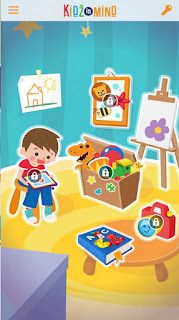 The app is age appropriate and features approved educational features, games and videos for children. 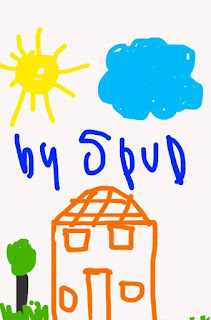 Spud's favourite at the moment seems to be the colouring feature, where he draws lots of photo's of our house, our puppy dog, or of him and his school friends at school! There are a small selection of colours available to use, along with a delete button, a rubber, a paintbrush and a save button! Another feature that is liked in the household is the alphabet feature, Spud has plans to show the alphabet to his baby cousin, to teach her how to say his name! Something both me and Spud like, is the fact that instead of having just one item for a letter, for example A is for Apple, the app has at least three pictures for each letter! KidzInMind has received the kidSAFE seal, Mom's Choice Award, and was nominated and won the Best Mobile App for Children and Toddlers in 2014! Of course with all the talk surrounding it, I decided to give it a go! Although Spud is a little older than the suggested app play, I know it's safer than the other apps he prefers to play on, but of which aquires my time, plus unlike other apps Spud likes, this one is fun and educational at the same time! 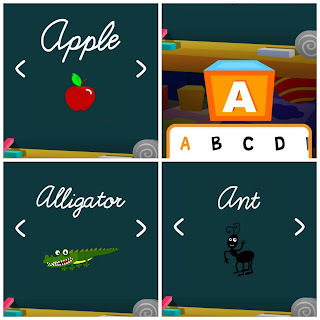 The type of features the app includes handwriting, brushing your teeth correctly, language, ABCs and colouring, amongst many more, currently there are more than 40 features to choose from, with more being added each week! All apps featured on the KidzInMind app are vetted and approved before being added to KidzInMind, with experts in paediatrics, nutrition and education ensuring the best app features for children. A recent report by GPEN found that nearly 60% of websites and apps redirect children away from the site or app, meaning there is a greater chance of discovering inappropriate content, however with KidzInMind, there is no chance of this happening, so my fears are put at extreme ease, meaning I can do housework, whilst Spud plays, and learns at the same time, safe from the lounge in our home! Whilst the app is free for its first week, the app is then priced at just 79p a month, which is less than 20p a week, and gives you and your children access to limited built in apps and features. Parents can choose to pay £2.99 per month for unlimited access to the full app, video and game catalogue, along with all the parental safety controls. 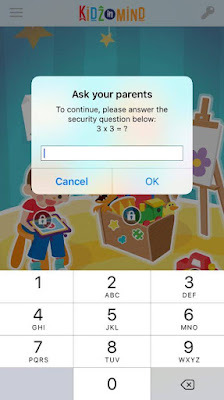 You don't need to worry even with the free version though, as the app ask children for questions most will not know the answer too! Going further, the app is more than just an app, but also an online community with a Facebook page, Twitter profile and YouTube channel, offering parents access to a whole heap of information, along with having discussions with other parents! We'd give this app a 5 of out 5 stars, and can't wait to see whats added to the app in the near future! Have you got the KidzInMind app? We'd love to know what your favourite feature on the app is! Please do leave a comment below!